Thor Reflections T-Shirt. Experience the power of the Asgard god of thunder, with this Thor Reflections T-Shirt! 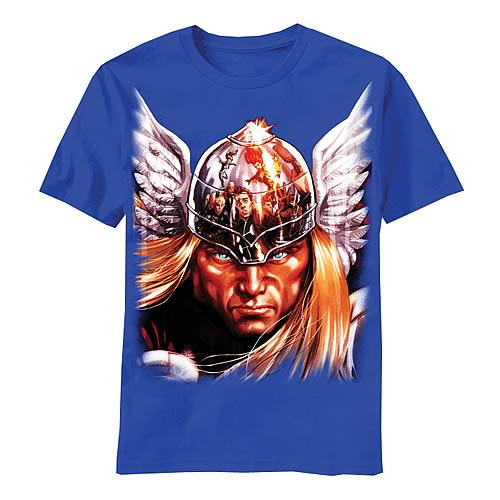 Inspired by the Thor comic books, this 100% cotton, high-quality royal blue t-shirt is pre-shrunk and machine washable. Order yours today!